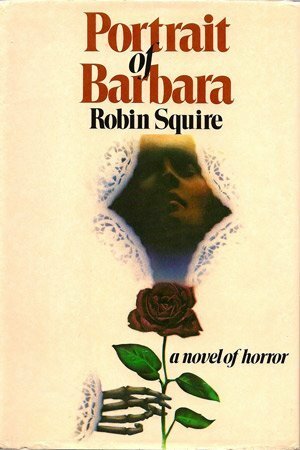 PORTRAIT OF BARBARA is a highly-charged love-horror story, first published in 1978 by Bachman & Turner in hardback in the UK, then in paperback in London by Sphere Books, and in the USA by St Martin’s Press. 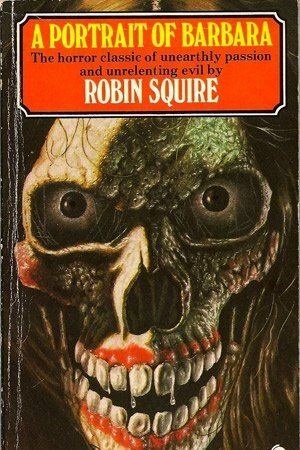 The original hardback had a gawdy bright green cover (which I was never keen on). The UK preface reads: Who is the shadow from the past who stares like a dead man and moves like a ghost? What family secret darkens the family village wedding in the heart of Victorian England? Charlotte, the bride, is plunged into a hell of fear. Far from husband, friends and loved faces she finds herself in an isolated world of shock and putrefaction, enmeshed ever more inextricably in a web of horror, intrigue and dread. Sour ghosts and wraiths undreamed of rise as she gradually discovers the appalling reality behind the baffling silences of her childhood. Who was the lady called Barbara, whose eyes glitter from the portrait in the festering gloom? Does death await Charlotte too? In a story of chilling power and suspense the reader undergoes the mind-wracking ordeal of a young Victorian girl, discovering, with her, previously unknown depths of compassion and fury, sadness and terror. Even the wildest nightmare seems tame beside the shattering events of the climax of this novel.Not a book for the fainthearted! Charlotte is a lovely, young newlywed, kidnapped on her wedding day. Barbara is a woman in a portrait, a memory, her picture and her skeleton the only tangible reminders of a once impassioned life… or has more been left behind? Portrait of Barbara is a love story; a story of love so fierce it becomes the driving force in the lives of two men – men different as day and night but for their fevered obsessions. Blakemoor’s frenzied longing is fixed in the past, his mind demented in his mad search for something dead and gone. Can he somehow recreate the living image of his long-lost love and find peace at last? Grenville is crazed in his search for Charlotte, his beloved vanished bride. Their lives are united through Charlotte, a starving prisoner of a madman in a derelict fortress of a house in a moorland wilderness where few ever pass. But who was Barbara? Who owned that face in the portrait, staring out at Charlotte with glittering, strangely familiar eyes in her terrifying seclusion? In 2014 Little, Brown Book Group published my revised version with a new title: The Mystery of the Stolen Brides – An Inspector Dearborn Case.